Hi guys! Not much is going on around here. I'm not traveling for a couple more weeks, and I'm super happy about that. Dancing With the Stars was good last night. Jordan and Lindsey seem to be the front-runners, but I'm rooting for Frankie Muniz. 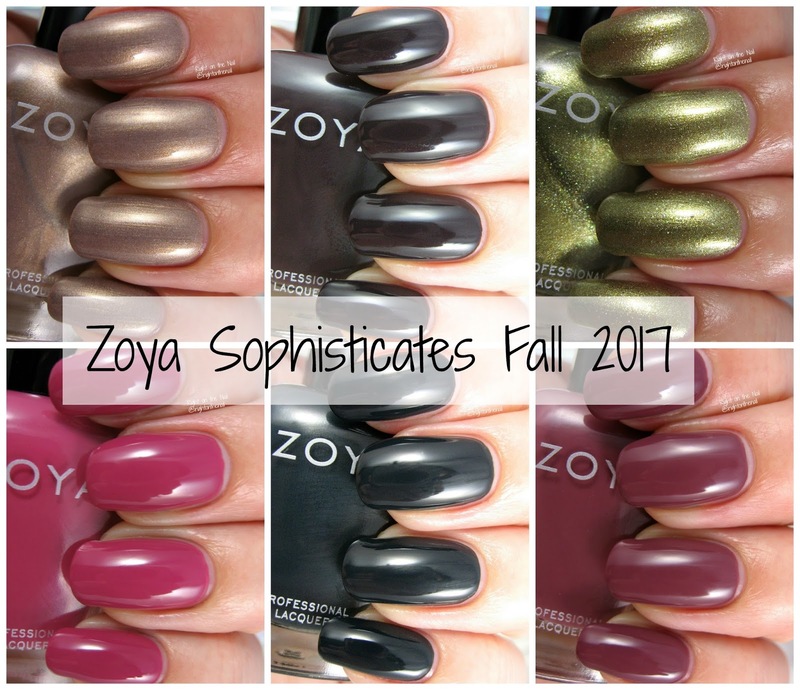 Tonight I'll be finishing up the first half of the Sophisticates collection from Zoya. Let's get to some swatches! Hadley is a blackened teal creme that can look black in lower light. That said, I think this is a really chic color and is one of my top picks for the collection. It was extremely opaque and needed just 2 easy coats for full coverage. I didn't have any staining, but this is the type of color that is known to stain, so make sure to use a good base coat here. I mean this in a really good way, but the dusty rose creme Hera reminds me of a "grandma" color. Both of my grandmothers died before I finished 7th grade so I don't really remember if they wore polish very much. I'd like to think they did, and I hope they wore beautiful colors like Hera. I know Lisa from the blog Cosmetic Sanctuary said the same thing about Hera, and she had a great little tribute to her grandmother (you can read about it here). It self-leveled well and reached full opacity in just 2 coats. And finally we have Joni which is a deep mauve creme with brown undertones. My swatches look a little darker than some other photos I've seen, but I'm pretty happy with how my swatches turned out. It had a great formula and application in just 2 coats with easy removal. Thoughts on the first half of the collection? Zoya polishes retail for $10 and you can find out more about them on their website, Facebook, Twitter, or Instagram pages. Keep an eye out for them in your local Ulta store if you want to see the bottles in person before you buy.